This baby gift has it all wrapped up. 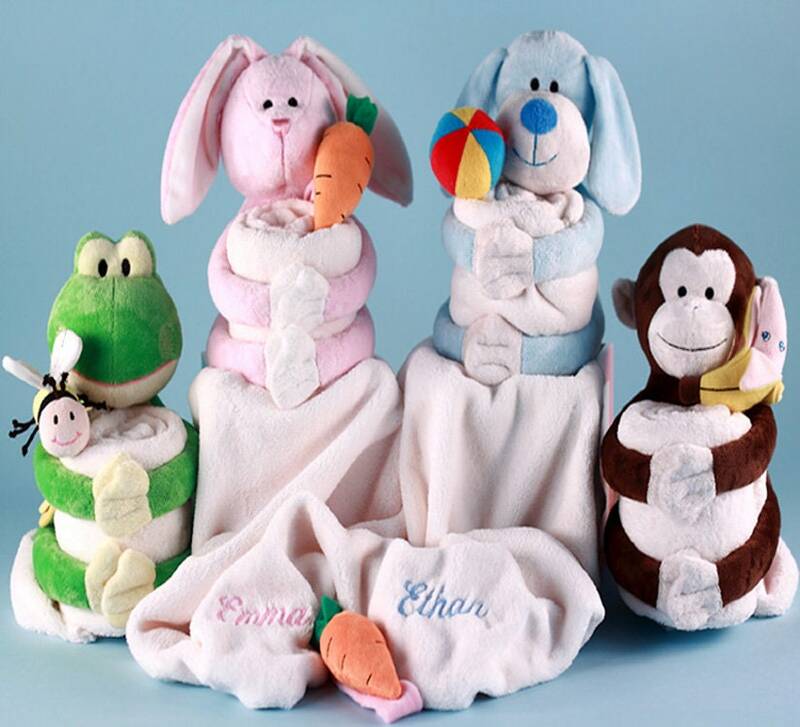 It starts with a ultra soft & cozy personalized baby blanket, one that is sure to become baby's favorite. It comes with an adorable plush wrist rattle-either bee, carrot, multi-colored ball, or banana -depending on the item chosen. last but not least, this unique baby gift also includes your choice of a lovable Hug-A-Buddy plush pal. Choose from Frisky Frog, Honey Bunny, Playful Puppy or Spunky Monkey. Whichever one you select, you can be assured that your gift will delight the new parents and give baby plenty of warm hugs.